On Friday, video was released of a vicious, fiery crash at a Westchester County Mobil gas station. The collision was caused by a 69 year old man driving a Toyota Camry. As seen in the video, the man was traveling at a high rate of speed, possibly upwards of 30 miles per hour. According to reports, the crash was caused because the elderly man went into diabetic shock and became unconscious. Instantly upon collision, the gas pump was swallowed up in flames that sprang ten to fifteen feet up in the air. The collision also nearly pinned and took out the legs of a fellow patron, John A. Vescio. Vescio, however, demonstrated amazing heroism. After running for safety and narrowly avoiding death, an injured Vescio returned to the fiery scene and pulled the incoherent driver from his car. 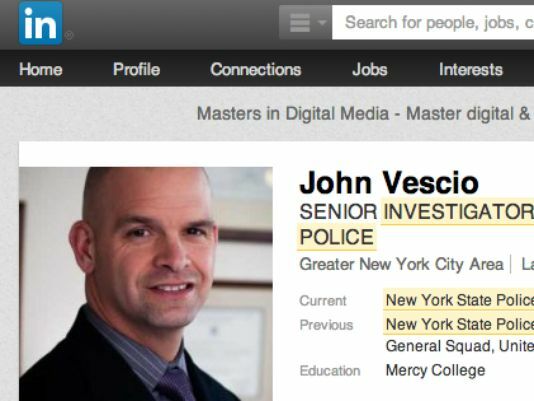 Later on, it was discovered that Vescio was actually a New York State Police Troop NYC Senior Investigator, so heroism is just part of his daily routine. After pulling the driver from his car, Vescio also escorted others away from the incident, warning that his trunk was filled with ammunition. Fortunately, according to an official report of the incident, the ammunition was not compromised. Through all the chaos, Vescio kept his cool and showcased why New York has some of the finest officers in the country. Somebody get this guy a cape because he is freakin’ Batman! This entry was posted in Culture and tagged accident, crash, vescio, Westchester County Mobil gas station. Bookmark the permalink.